1969 A & BC Star Trek Trading Cards – The Most Challenging Vintage Star Trek Set? In the world of non-sports cards, Star Trek issues such as the 1967 Leaf and 1976 Topps releases continue to surge in the marketplace. What about the lesser known 1969 A & BC set? These colorful cards are based, of course, on the hit television series but were a product of the U.K. With only 55 total cards needed to achieve completion, the set doesn’t sound like a daunting challenge, but it remains the toughest of the three mainstream, vintage Star Trek sets to complete. In the following article, we look further into this relatively small, but challenging, set. The 1970s and early-1980s produced their share of popular basketball card sets, from the 1972 Topps issue featuring "Dr. J’s" rookie to the Tall Boys of 1976 to the 1980 Topps release, featuring the cardboard debuts of Magic Johnson and Larry Bird. One of the sets that seemingly gets lost in the shuffle is the 1978 Topps set. Void of any mega-rookies, this 132-card issue still has it charm in the minds of some collectors. The stars of the day were featured like Bill Walton (#1), George Gervin (#20), Pete Maravich (#80) and Kareem Abdul-Jabbar (#110). The set also features a rookie card of Hall of Famer Dennis Johnson, but it lacks major power found in some other sets. What the set lacks in star power, it more than makes up for in eye appeal. In the following piece, we take a closer look at this seldom discussed basketball set. The deadline for this year’s PSA Set Registry Awards was Friday, May 29th. Judging is underway and winners will be announced by the end of June. As in previous years, awards will be presented at the annual PSA Set Registry Luncheon. Email invitations for the luncheon will be emailed out mid-June. Good luck to all who are in contention and thank you for your participation in the PSA Set Registry! For more information about the PSA Set Registry awards, please click here. There are over 500+ lots for auction that will end on Thursday, June 11th, 2015 at 11 PM EST using the 15 minute rule. This auction features many high grade and low pop cards for collectors to complete their sets from the 1950s through the 2000s. A terrific assortment is offered with tremendous investment-quality pieces from all sports and the historical and political worlds. It features another amazing array of items that caters to every level of collector and investor. PWCC is offering 12,700 high-end lots, spanning all sports and genres. Our June auction is HUGE! You will find tons of great items running live right now! Featured in this batch are several PSA gems of red hot 86 Fleer Basketball including 10s of HOFs Olajuwon, Kareem, Drexler, Erving and HTF guys like Jeff Malone, Sidney Moncrief and Orlando Wooldridge! 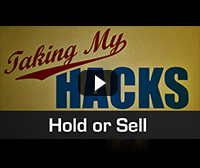 Taking My Hacks: Hold or Sell? In your opinion, which of the following baseball rookie cards of the 1970s has the most upside? 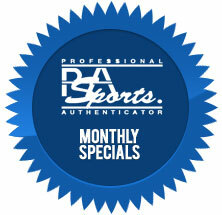 © 2015 PSA, Inc., Professional Sports Authenticator. A Division of Collectors Universe. All Rights Reserved. NASDAQ: CLCT.